With the help of my Dream Machine-style pickguards and the Dream Machine brass tremolo I was able to built myself a kind of Schecter Dream Machine Strat (the one I compared to Mark Knopfler’s sunburst Schecter Dream Machine in these videos). 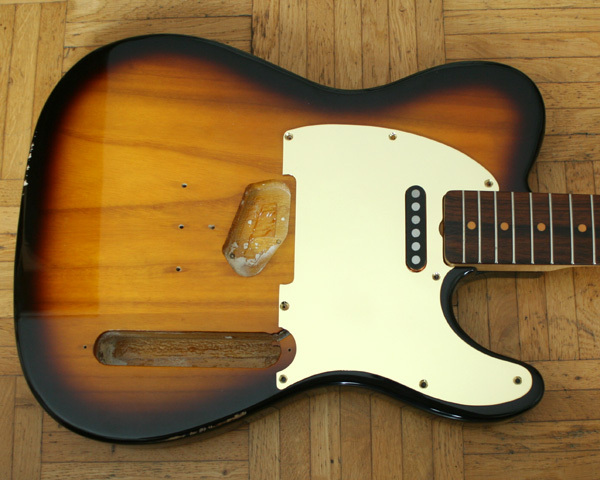 What I am working on at the moment is a range of products for the Telecaster to upgrade any T-style guitar to a Telecaster Dream Machine, or to build one from scratch with aftermarket bodies and necks. I already have the brass or white enamel aluminium pickguards, and the tapped Telecaster Dream Machine pickups will come any day now – the final prototypes I have are really great :). I decided to install these into two different guitars: one will be a project with a genuine Schecter vintage neck and a fine one-piece mahogany body. The other project is based on a neck and body I just found on ebay for really little money, it just looked right (with a kind of sunburst very similar to the one on Mark’s Schecter Strat), and a neck without dot markers. When these arrived I was pleased to find out that both are very light and seem to be very resonant (knock, knock,.. 🙂 ) so this second project seems very promising as well. The Schecter neck has a painted peghead – like Mark’s Walk of Life Tele which is in red. Not sure what to do with this one but I guess I will keep it like this to preserve the decal and originality. 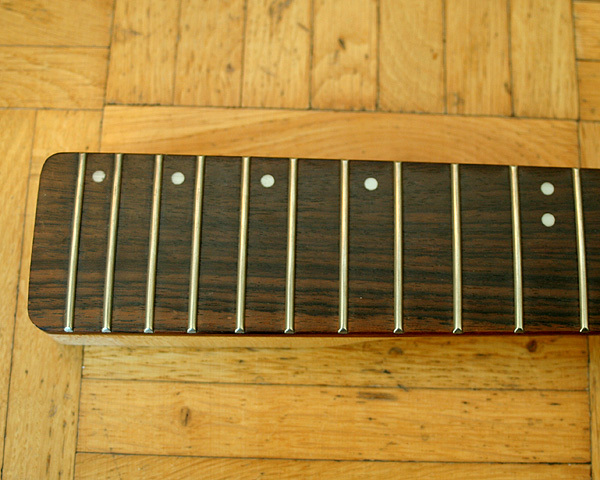 I wonder if the fingerboard of the Schecter neck is Brazilian rosewood or Cocobolo. This info must be in the neck code which says F773S but this code is not included in the (older) Schecter catalogue I have. 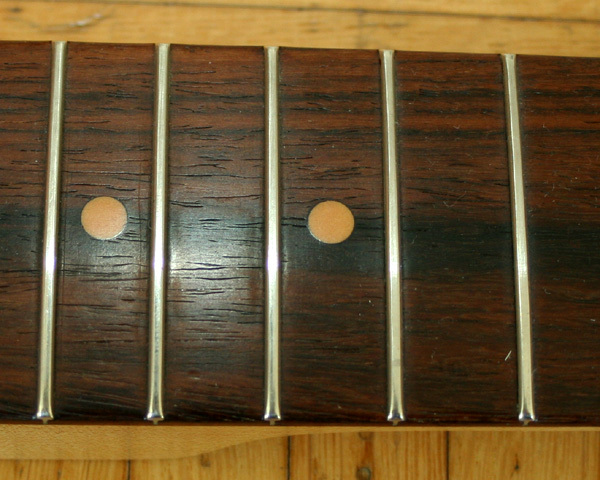 Those grains indicate a South American rosewood, and the wood has a typical oily shine. Cocobola is often lighter than Braz rosewood but the latter can vary to a large extend. 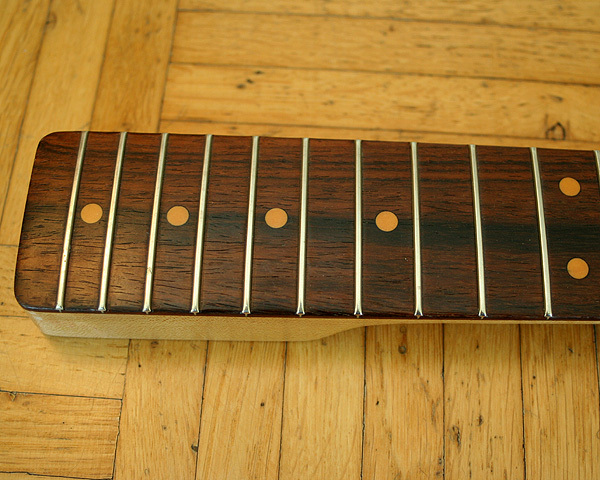 The no-name neck has little dots on the upper edge, I am thinking about removing these and fill the holes with brown wood filler so that you have some help with finding the right fret without changing the look of a board without dot markers. You should build the black telecaster Mark Plays on Solid Rock!I really like 9.5 neck radious. So I would need some of the hardware in black chrome brass. I could do these but I am not sure how much demand there might be for it, I am afraid that plating only a few in black is not economical. 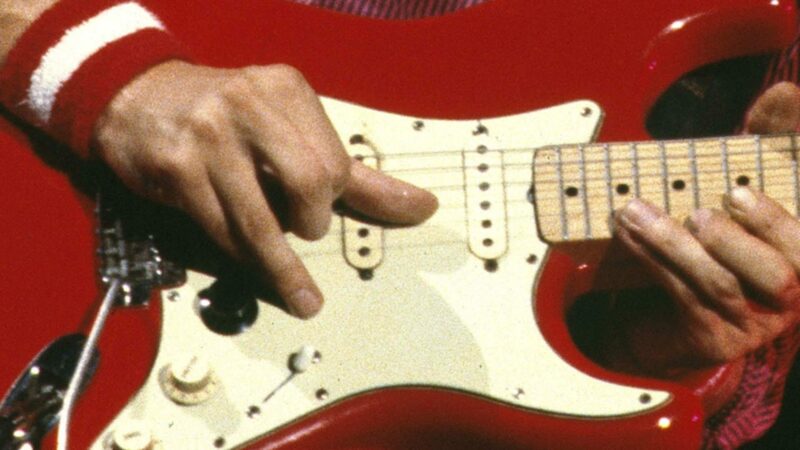 Do you by any chance know the secret to the sound that mark produce on his Schecter telecasters. For instance the sound from Australia, where mark and jack Sonni fool around before two young lovers. Do you think it is overwounded tele picks on the schecter? Seems to be one side of those Schecter Tele pickup sounds. You got some nice beefy sounds, especially over those Marshall cabs. In fact they sound very different from Fenders (just like the Schecter Strat PUs do). I will make some videos when I have these two guitars built, I tested the prototypes of my coming pickups in my 68 Fender Tele but restored this guitar to the original pickups for now. I have a black bound Van Nuys tele exactly the same as the Solid Rock guitar (except for fret markers). From the factory it came with push pull volume/tone pots, to switch the pickup tap on and off. With the higher output setting it really gets that sound. Lower power, is closer to a standard tele. 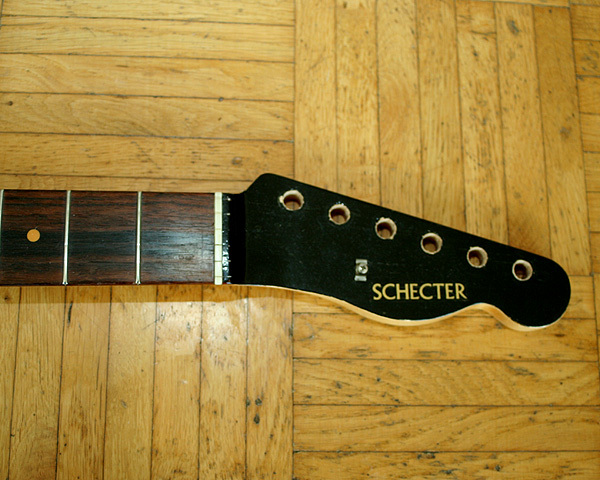 Hi Ingo, what kind of dots have the schecter’s neck? 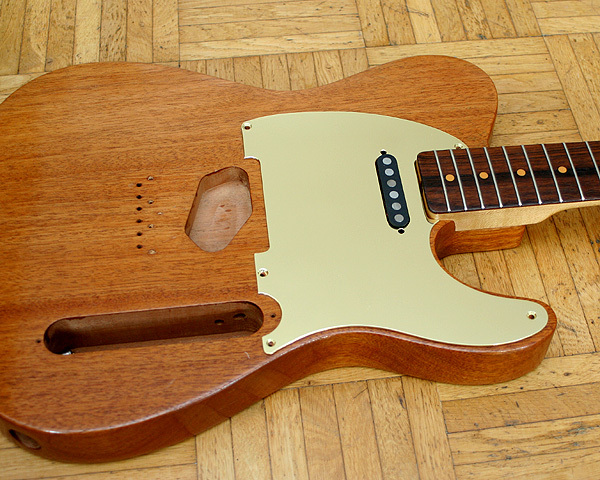 I’m super curious to know how that Mahogany telecaster body body sounds! I’m considering building myself a Tele and thinking of either Mahogany or Alder.